One out of four children enrolled in Chicago Public Schools does not graduate, and for some unknown reason, the city is trying to make it even harder to get a diploma. Starting in the next academic year, incoming freshmen will have to show that they have been accepted to a college, community college, trade school, apprenticeship, or branch of the military in honor to receive a diploma. This change was proposed by Chicago Mayor Rahm Emanuel. Emanuel framed the new initiative as his latest move to get kids thinking early about continuing their learning beyond high school. But he also said it would be compulsory. 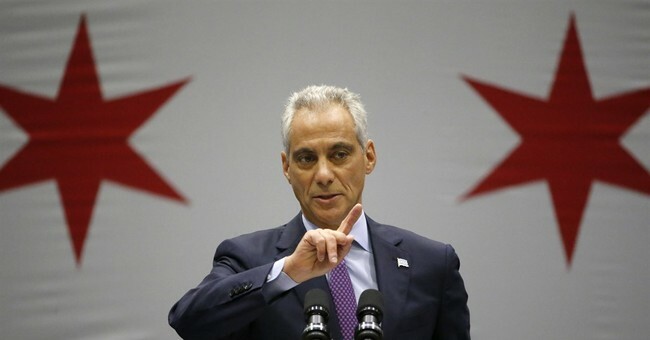 "You won't be able to graduate ... unless you show that letter of acceptance to any one of the four outlets we talked about: college, community college, armed services or a trade," Emanuel said while speaking about the program on on "CBS This Morning" on WBBM Ch. 2. It isn't yet clear how Chicago Public Schools would enforce such a rule, given that high school students are not required under the law to enroll in one of those organizations to graduate. At a news conference Wednesday morning, Emanuel and Janice Jackson, chief education officer at CPS, characterized the acceptance letter requirement as a way to focus children all over the city on their post-high school plans. While in theory it's a good thing to have students concerned with plans for the future, simply entering the work force in a non-trade capacity is a perfectly acceptable option to do after graduation and is certainly cheaper than going into student loan debt. Plenty of students (such as Malia Obama, for instance) chose to take time off before entering college or some other post-high school life. This doesn't mean these students are doomed to fail--but for some reason, Chicago Public Schools has deemed them unworthy of receiving a diploma. Of course, there's also this (likely) ulterior motive behind the change: increasing enrollment (and number of employees) at the City College system. Every student who graduates from a Chicago Public School is automatically admitted into one of the city colleges, so a student who didn't otherwise have post-graduate plans has at least one fallback option. These schools have struggled with both enrollment issues and an influx of students who are not qualified to do college work--so it makes sense that Emanuel would be attempting to spur enrollment in these institutions. But still, it seems silly to hold a student's diploma hostage. Not everyone is cut out for college or working in a trade or for the military. They still should get the diploma they earned in the classroom.